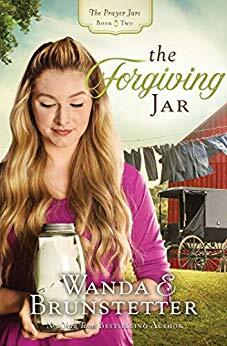 The Forgiving Jar is the fabulous addition from Wanda Brunstetter’s The Prayer Jars series. I just loved this book and enjoyed catching up with the characters from the first book of the series. I highly recommend for readers to read The Hope Jar before starting this one. The is a perfect story for anyone struggling to forgive themselves or others. Mrs Brunstetter has the best books for faith and inspiration and this one is no exception. The Forgiving Jar would be getting one hundred stars if it was possible. I loved it and highly recommend it. It is among my favorites of Amish Fiction.